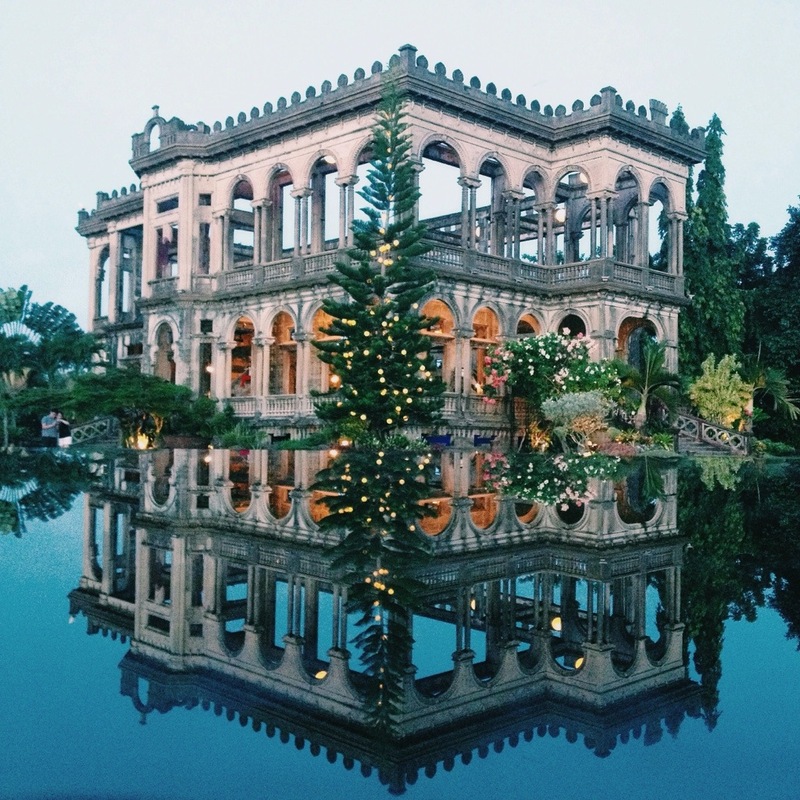 Where to eat in Bacolod? 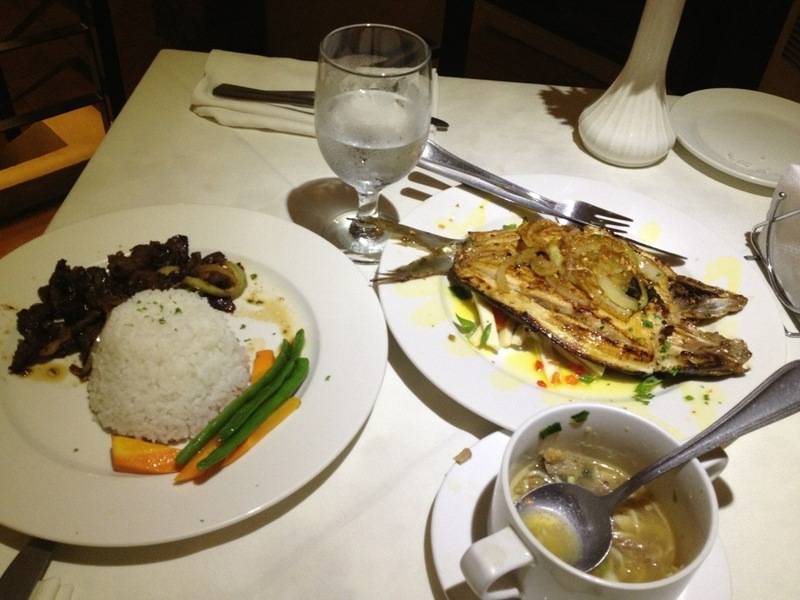 We stayed at L’Fisher Chalet Hotel along Lacson St. which is the thoroughfare of Bacolod. Almost everything is there; hotels, malls, commercial establishments of all sorts and restaurants! 🙂 With only The Ruins as our itinerary, here’s what comprised our 3-day stay at the City of Smiles: food! Right from the Silay Airport, we took a van going to Silay Plaza for our first meal at El Ideal. This is an old bakery turned into a restaurant which is just about 10 minues from the airport, fare is P50 per person. Their specialty is the Guavapple pie but I totally forgot to order it since I’m already very hungry and got distracted by spotting busses going to Bacolod. haha We had breaded porchops and chicken for lunch. This is a fancy restaurant along Lacson St. and the facade can be very intimidating. I even told C that we should wear shoes coz the place looks really nice haha! 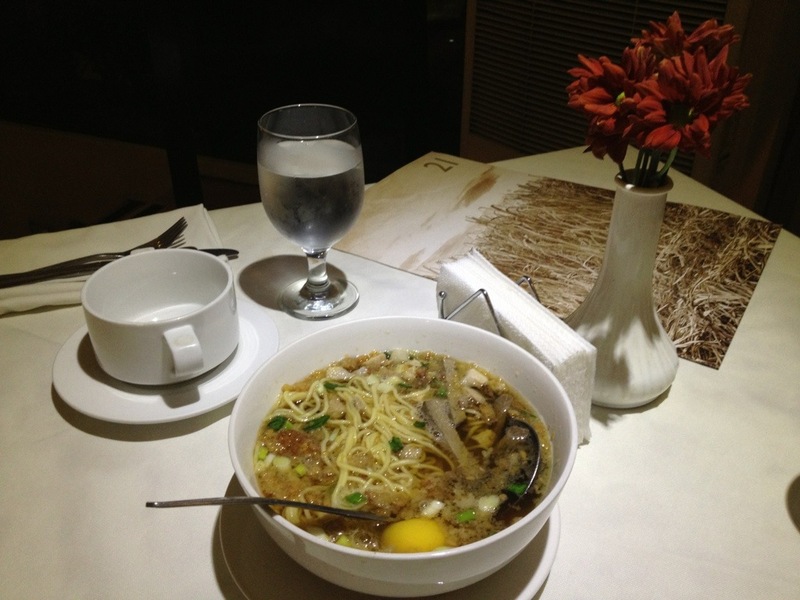 And it was indeed nice; good ambience and service but the greatest surprise is the price! We had Special Batchoy for P90 (good for 3 persons and tastes really good), Boneless Bangus for P220 and Beef Steak for P175. 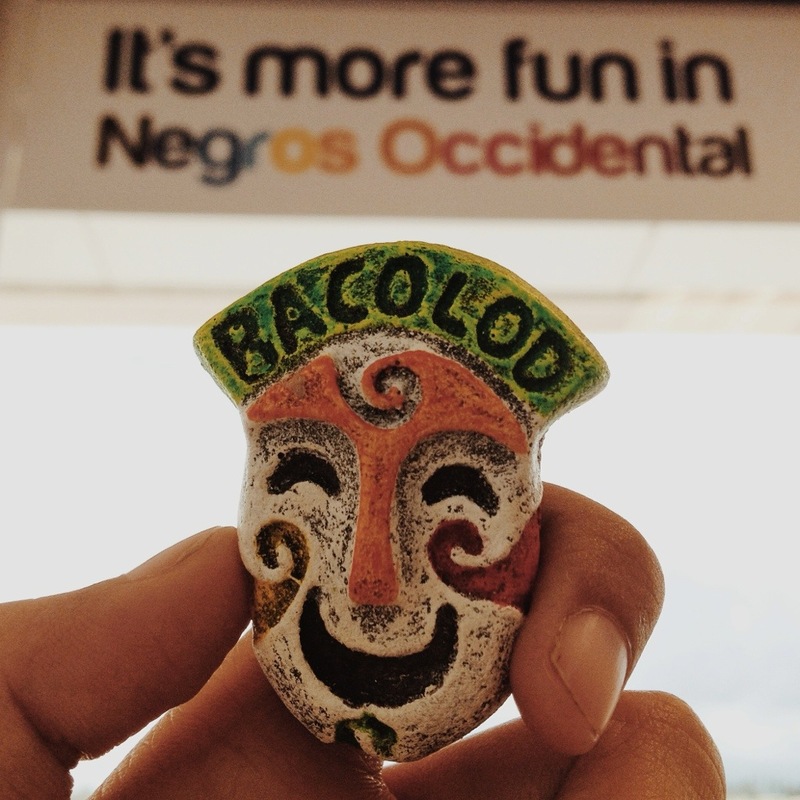 I’m already impressed with Bacolod! Breakfast was served courtesy of our hotel in their roof deck restaurant. 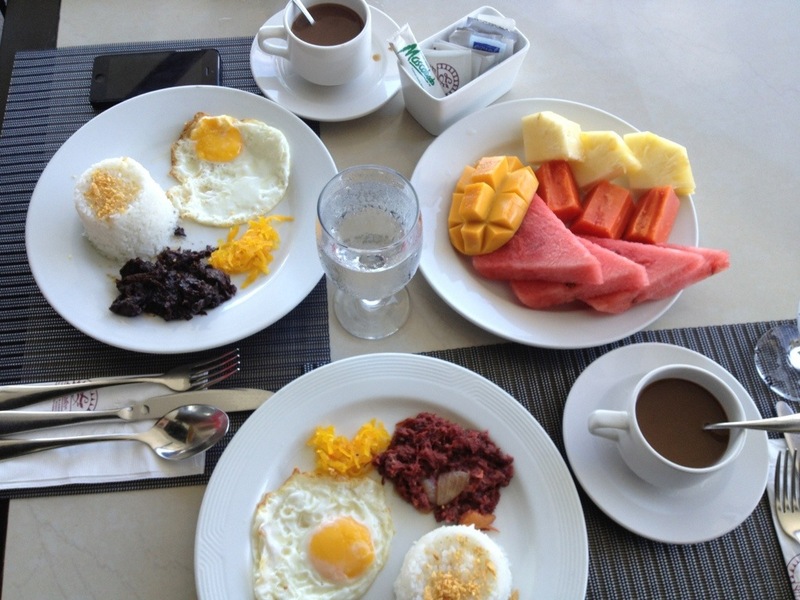 We had traditional silog meals and a fruit platter while enjoying the swimming pool view. It was a 10-minute jeepney ride from our hotel going to SM Bacolod and few meters from it is the Manokan Country where they serve authentic chicken inasal. 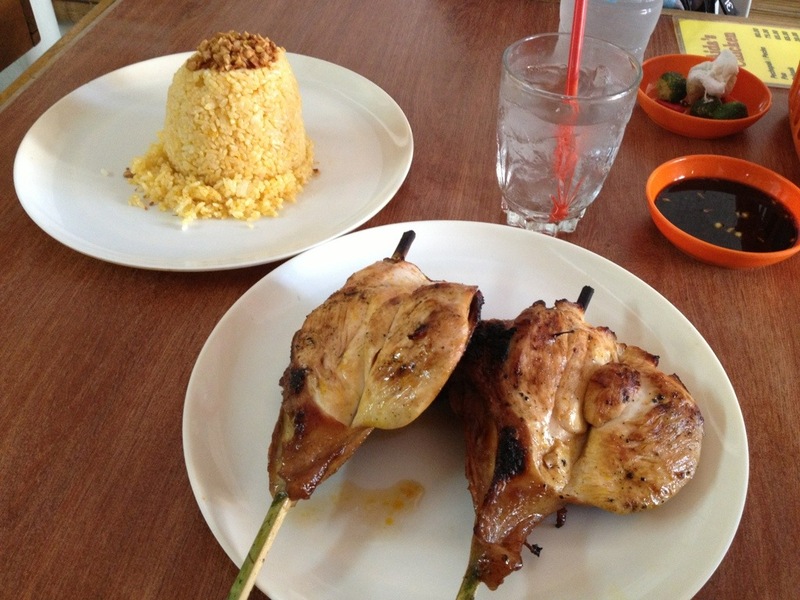 Aside from sweets, Bacolod is also known for its juicy grilled chicken and it did not disappoint. Pecho pak is P80 and garlic rice is P30. 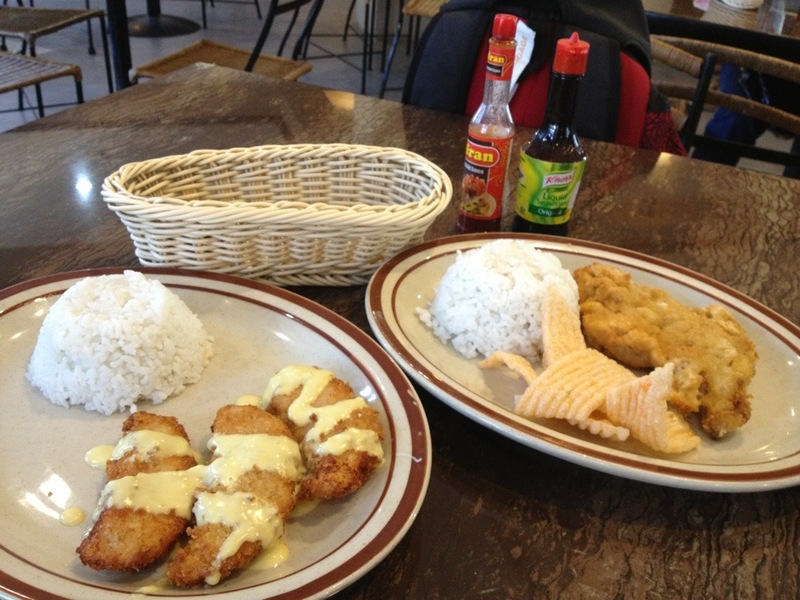 That’s a very filling lunch for just P110! And forget your spoon and fork, best way to eat is with your bare hands! Yum! From SM, take a Bata-Libertad route jeep (P8) going to the drop-off to Ruins. From there take a tryke ride (P100) going to the gates. Entrance fee is P90 per person, not bad for unlimited picture taking hehe. While waiting for the sunset and for the ruined mansion to light up, we had a Panna Cota for snack (P150) plus a marvelous view in front of us. 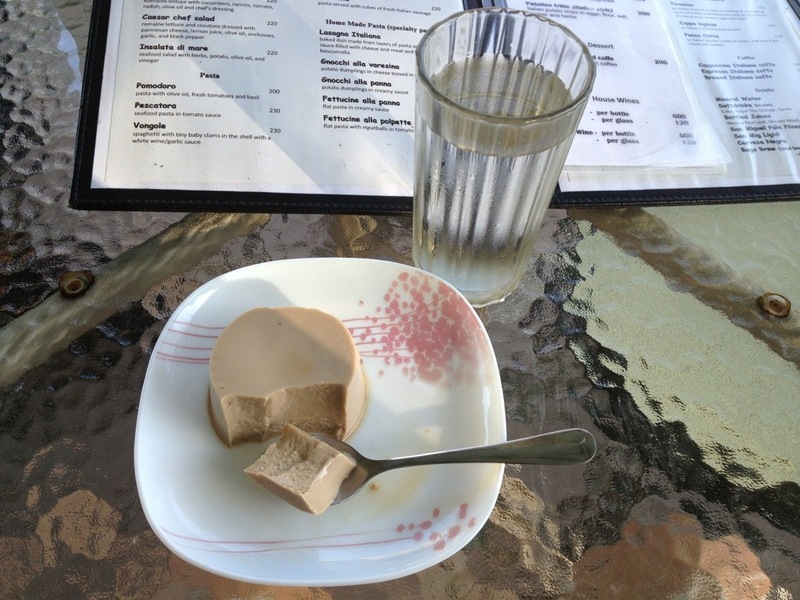 We’ve passed by this restaurant for few times and tried to give it a go. We had a putok batok meal which consists of Chicharon Bulaklak (P160), Sizzling Spareribs (P140) and Kristin’s Steak Special (P310). Add a Morisqueta Rice Platter (130) and we’re off to a nice dinner while conversing about how our Bacolod trip has been so far. 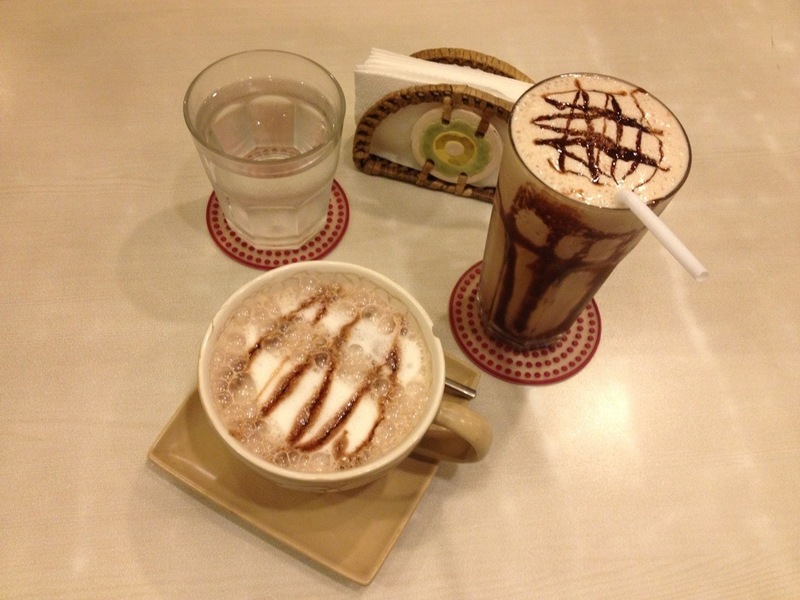 We skipped Starbucks since we’re still full but still ended up having hot chocolate and mocha blend at Cafe Uma. I heard they also serve some good pasta here but wasn’t able to try them. 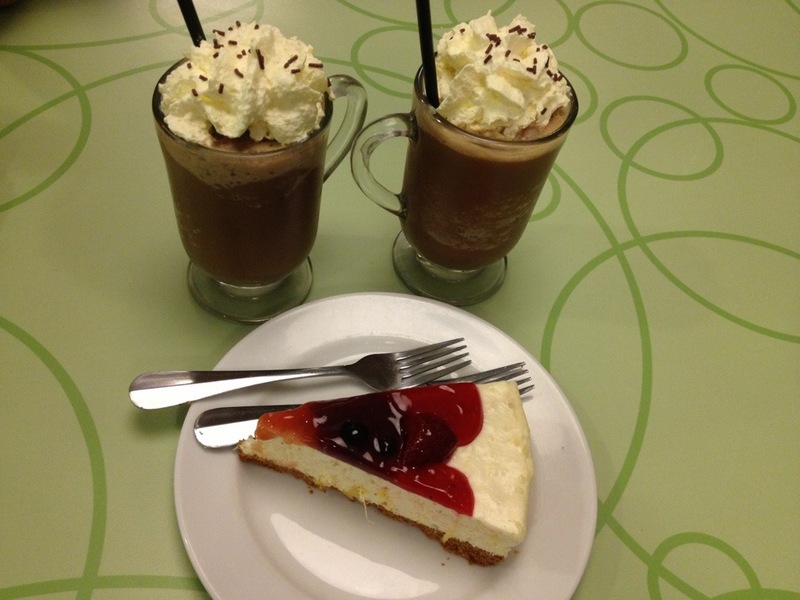 Before we run the the airport, we had our last meal at C’s Cafe, just at the ground floor of our hotel. 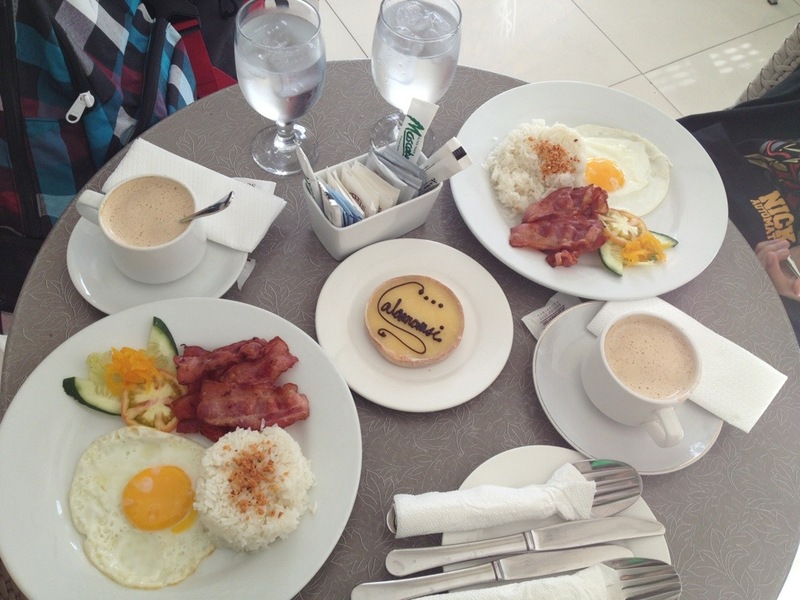 We had baconsilog and a taste of their own Calamansi Tart. 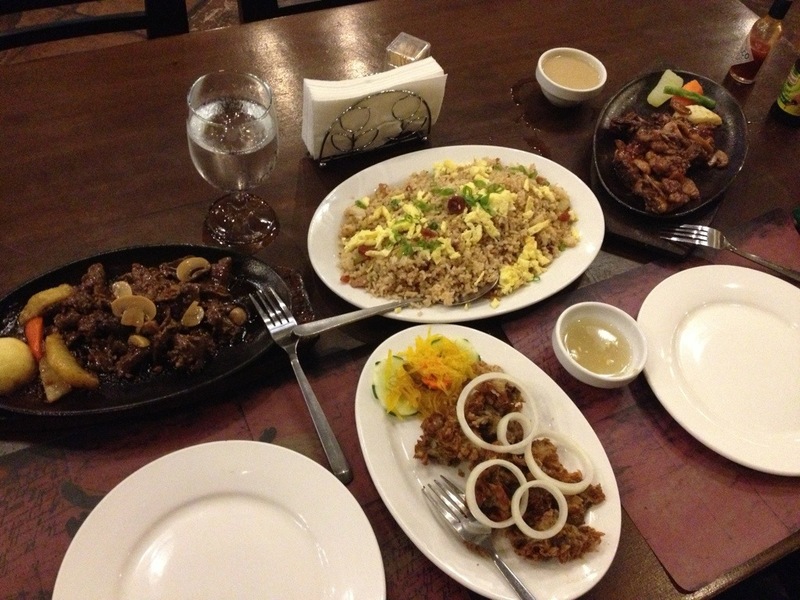 They also have a wide selection of breads and cakes and rice meals, enough to summarize how good food in Bacolod is.